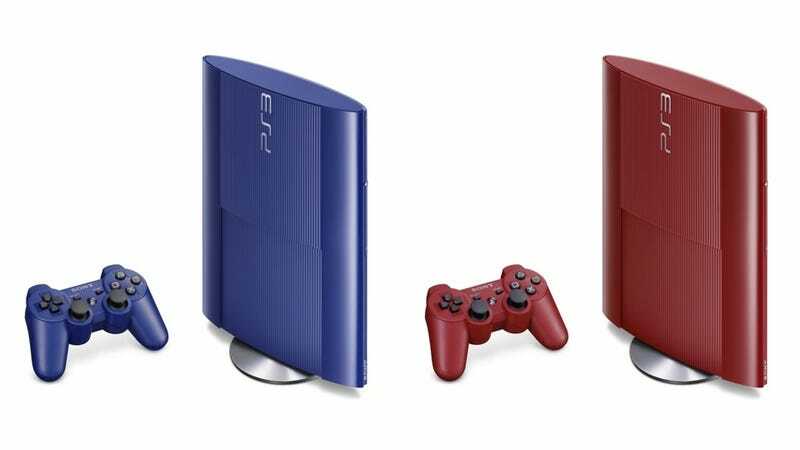 Later this month in Japan, the 250GB super slim PS3 will be available in Azurite Blue and Garnet Red. Each is priced at ¥24,980 (US$279). If you haven't seen it, check out how the super-slim PS3 looks compared to other modern consoles.